A challenge of a different kind. I signed up for a stair race - running up the stairs in the tallest building in Seattle, the Columbia tower. I'll be part of my running group team - SGLRC Stair Crushers. I needed some prodding by the team leader to sign-up :) It just gives me the motivation to run up stairs where-ever and when-ever I see them till 22nd March! I walk up the stairs to my 4th floor office everyday. I'll now be running up them. Boo to elevators! 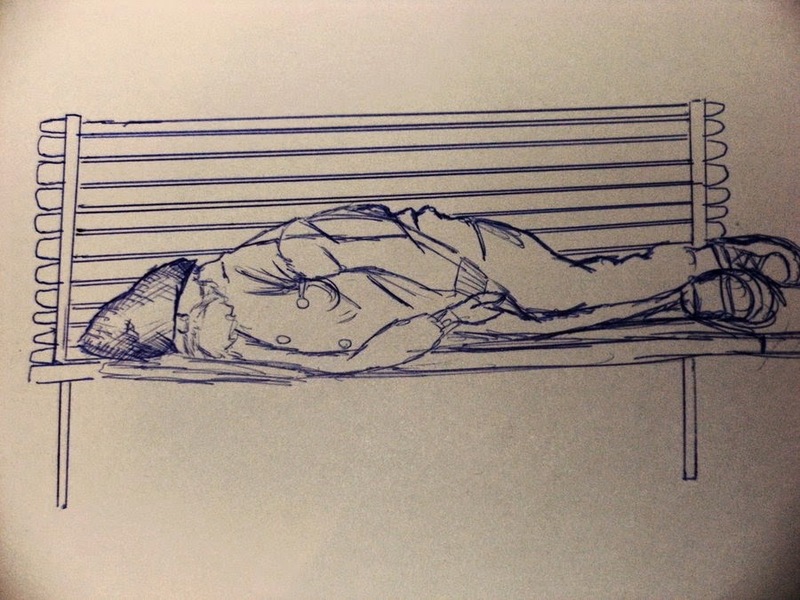 The homeless gentleman who sleeps on the same bench every day. I've now got in my first three runs post-marathon break. My body is rusty. My pace is above 8. My quads and calf are a little sore. Here's hoping this phase does not last long!